This is my blog. Using my own words. Lotsa my words even. I'd like to disclose that I really am the mother of the two boys (3 if you count the hubs) that I mention throughout this blog. Yep, it's necessary to throw out there that I didn't "borrow" someone else's kids for the purpose of blogging. Yep, I reallyreally do homeschool them. I became a faithful and long-time Time4Learning customer in Feb/Mar 2007 and in 2009, became a part-time contractor for Time4Learning and Time4Writing. I help them with marketing, forum moderation, and online promotion. To be clear, I am disclosing that I do have a financial interest and incentive in promoting some products, services, and websites. I believe this blog abides by word of mouth marketing standards. I believe in honesty of relationship, opinion and identity. While the compensation received may influence the advertising content, topics or posts made in this blog, I also believe in my own integrity. I was first a Time4Learning customer and then, I became involved in their marketing. 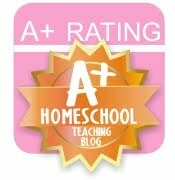 It means that yes, I promote Time4Learning (and some other sites...see below). It means that yes, I may get paid to do so. It also means that YES, I would promote these sites regardless of whether or not I was compensated. This blog does contain content which might present a conflict of interest. This content may not always be identified. 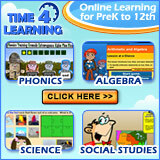 I am employed by or consult with Vkidz, Inc which has a financial interest, sponsorship, or affiliate relationship with a number of sites which change but include: Time4Learning.com, Time4Writing.com, SpellingCity.com, Science4Us.com, HomeschoolLiterature.com, LetsHomeschoolHighschool.com, and others. I want to make sure that we revisit that whole "to be clear" thing: I have used/currently use every single site I promote in this blog. Any experiences that I share regarding these sites ARE REAL; both my experiences and those of my boys. No fakey, fakey here. Alrighty. Now that we've got that out of the way, let's get back to bloggy fun, k?